Google Ads (former Adwords) is an online advertising service that places advertising copy at the top or bottom of, or beside, the list of results Google displays for a particular search query. The choice and placement of the ads is based in part on a proprietary determination of the relevance of the search query to the advertising copy. In July Google’s ad service AdWords will become Google Ads. But it’s not just a name change. 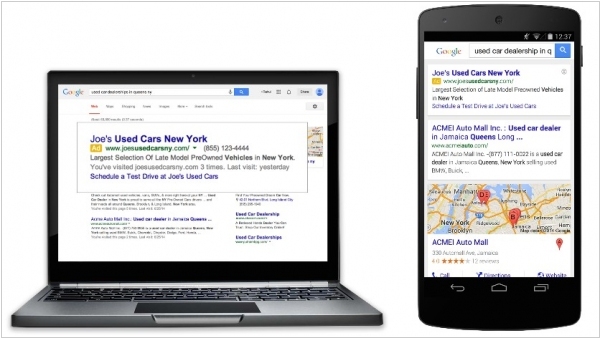 Google is also launching something it calls Smart Campaigns, which will become the default mode for advertisers. It allows those advertisers to identify the actions (whether it’s phone calls, store visits or purchases) that they’re prioritizing, then Google Ads will use machine learning to optimize the images, text and targeting to drive more of those actions. Google Customer Match is a new product designed to help you reach your highest-value customers on Google Search, YouTube, and Gmail. It allows you to upload a list of email addresses, which can be matched to signed-in users on Google in a secure and privacy-safe way. From there, you can build campaigns and ads specifically designed to reach your audience. 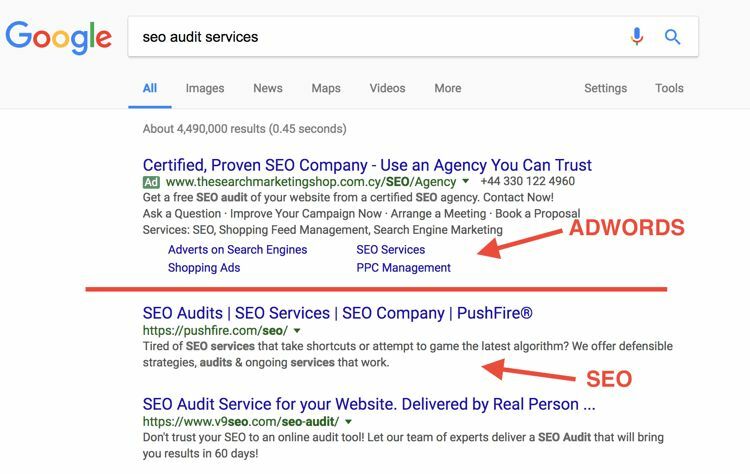 Users can control the ads they see, including Customer Match ads, by opting out of personalized ads or by muting or blocking ads from individual advertisers through Google Ads Settings. Another way Customer Match can be used is to generate new business by showing ads to prospective customers with similar interests as the rewards members as they are on YouTube and Gmail. Google is replacing some of its text-only Google Ads on mobile phones with produced photo versions. 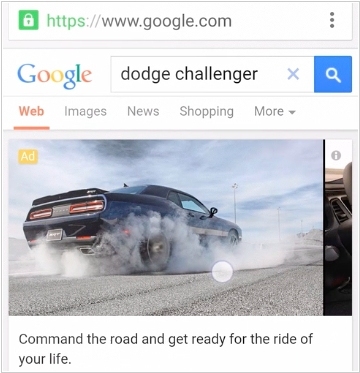 The visual ads, which are now available for cars like the Dodge Challenger, allow you to flip through photos, research product information and book reservations directly from the search screen—a major departure from the text ads that fade into the general noise of search results. For car buyers closer to making a purchase, the search giant is offering franchise auto dealerships better location-based ads with a click-to-call button and directions to stores. A beta version of the ad is available this week. Brands that choose not to pay for the revamped auto ads can stick with the conventional text-only listings. While Google's mobile search results already pulls click-to-call phone numbers, directions and sometimes images for many business or product searches, the updates will give companies more means to alter the user experience of their search results than ever before. Google Adwords is rolling out globally dynamic sitelinks: automatically generated sitelinks that appear below your ad text, connecting potential customers to relevant pages on your website more easily. They say that sitelinks enhance user experience by increasing the relevance of ads and the relevance of the user experience that is delivered after the click. 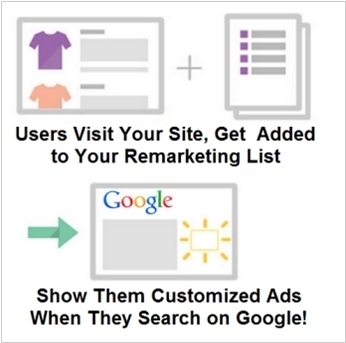 Clicks on dynamic sitelinks are FREE. Advertisers will still be charged for clicks on the ad headline and other ad extensions. While dynamic sitelinks typically boost the average performance of an ad, advertisers always have the option to disable them. If your company is advertising via Adwords you probably regularly receive notifications to update to the new Enhanced Campaigns (until July 22). What is it and why you need it? The idea is that day by day more and more people use smartphones and more and more ad clicks are coming from smartphones. However, the value of those clicks for your business can be significantly different compared to clicks from desktop (they may be less or more valuable). For example, if you sell SaaS-service, the visitor who clicks on your ad on a smartphone can't immediately try your demo version, so the value of such click will be less. But if you're selling mobile application - these mobile clicks can bring you more buyers. Previously, when creating Adwords campaign you could just turn off mobile devices, and then create a separate campaign for mobile. But it was difficult, and marketers were too lazy to do it. Therefore, mobile advertising was switched off and Google was losing money on it. That is why they invented Enhanced Campaigns. They are much easier (and mobile devices can't be disabled). You can set bid adjustments for mobile devices. For example, -10%, i.e. mobile clicks will cost you 10% cheaper. After July 22 all campaigns will become Enhanced. And if you don't set the adjustments yourself - Google will do it based on the stats of other upgraded campaigns. Besides the device-based adjustments, you can set time and location adjustments. For example, if you own a pizzeria, you'll want to increase the bids for people near your place, that are searching for "Pizza" on mobile devices between 6-7 pm.